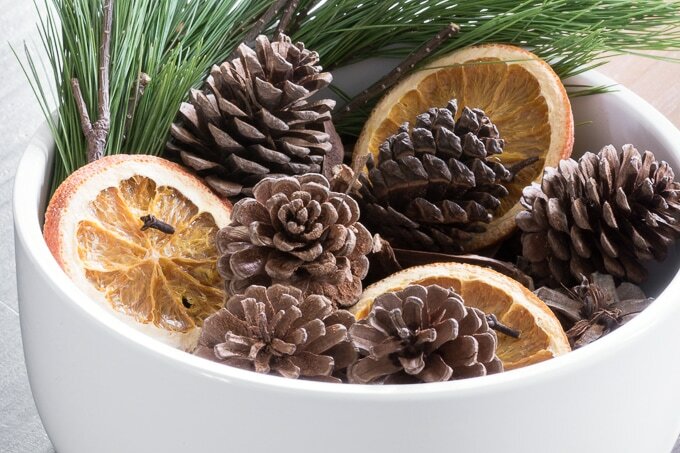 This post will teach you how to make DIY scented pine cone potpourri. 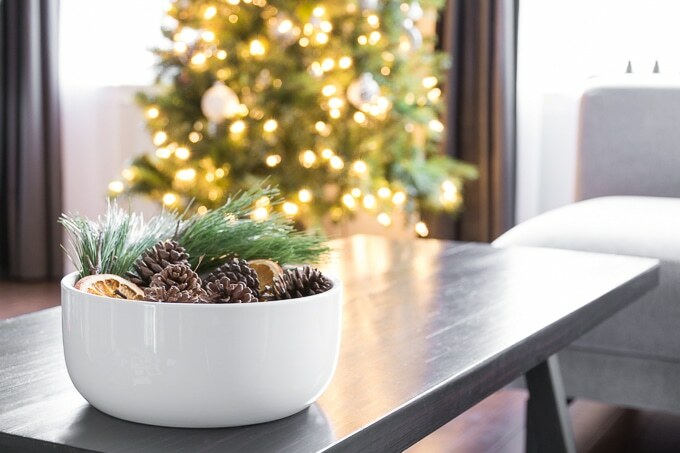 It’s a simple way to make a room smell like the holidays using something that’s also an easy holiday decor piece. Step 1: First I soaked the pine cones in a hot dish soap solution. I just used my sink. Then I rinsed them off and shook off the excess water. Don’t freak out if they close up. 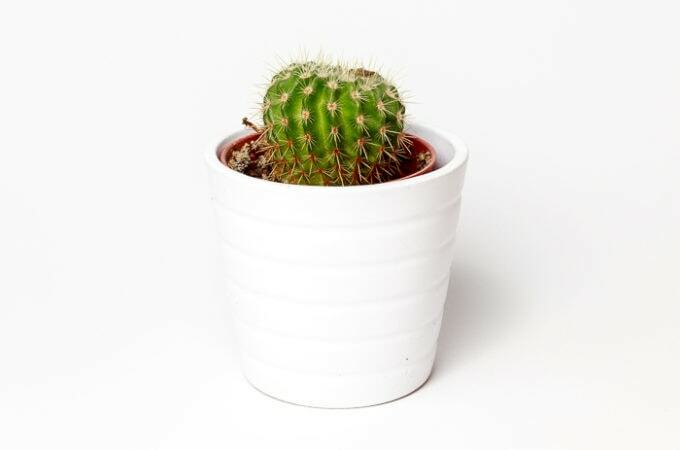 It’s just because they’re wet. Note—you could probably skip this step and kill any nasties in the oven. I chose to do both because my pine cones looked like they needed it. 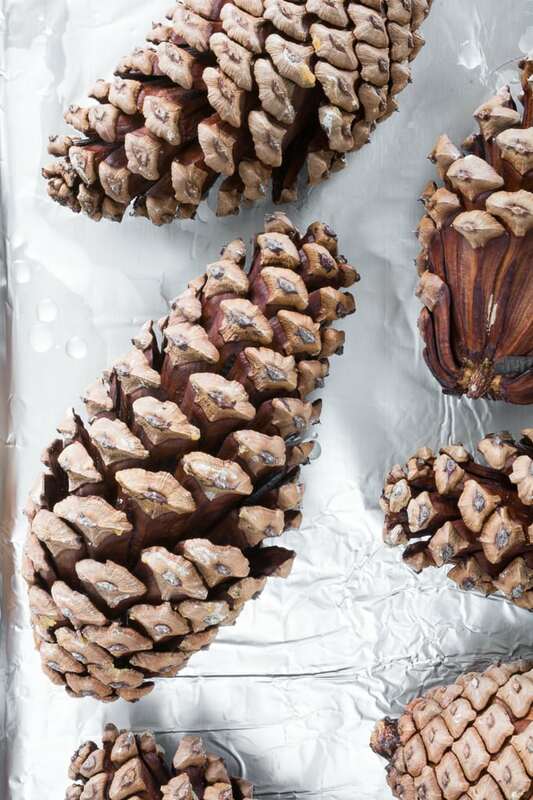 Step 2: Next I lined a baking sheet with aluminum foil and baked the pine cones at 200 degrees with about an hour, checking on them every 15 minutes. 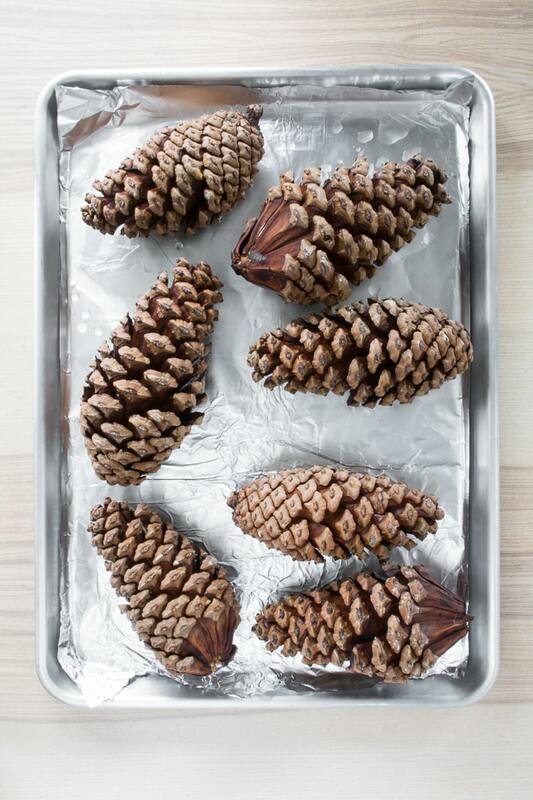 The baking time depends heavily on the size of the pine cone and if they’re wet. You’ll know they are drying out because they will pop back open as they dry. 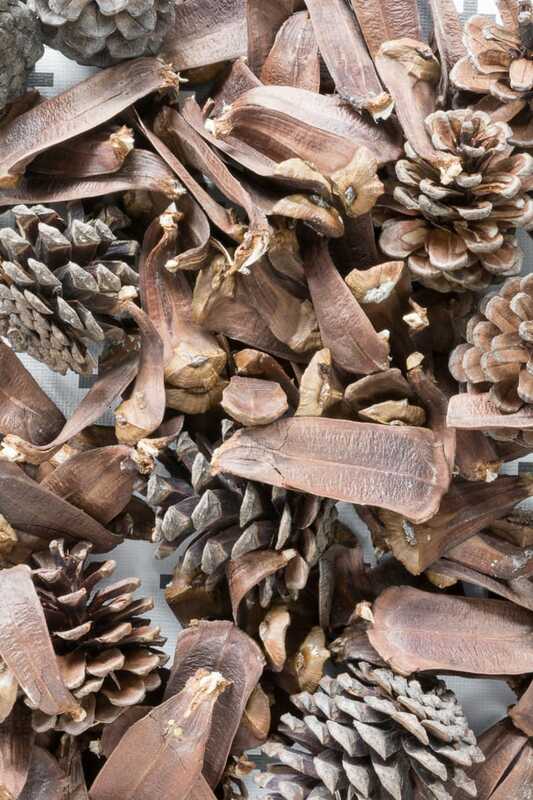 Step 3: I noticed that some of the scales that had dried first, mostly near the tops of the pine cones, were getting a bit brittle and falling off. I decided to pull them off and make potpourri. Honestly, this is one of those projects where I really didn’t know what I wanted to do going in and just went with the flow. Step 4: After I’d picked off the dried scales, I laid them out in a single layer on a towel for a day or so to continue drying. The last thing I wanted was any moisture trapped in there to create mold. 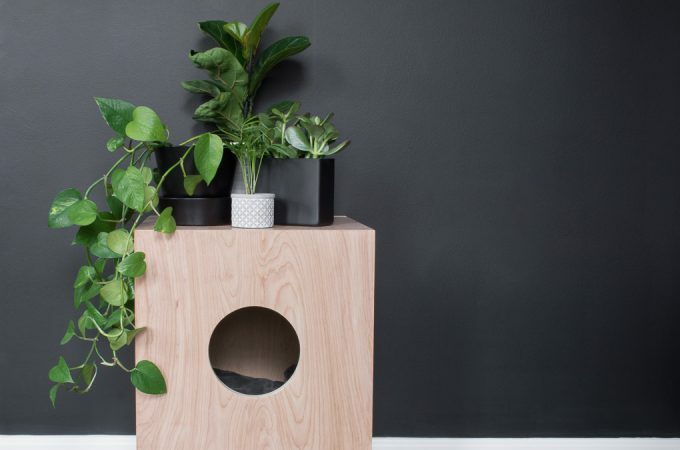 Bonus: The cats loved knocking them off the table and batting them around. 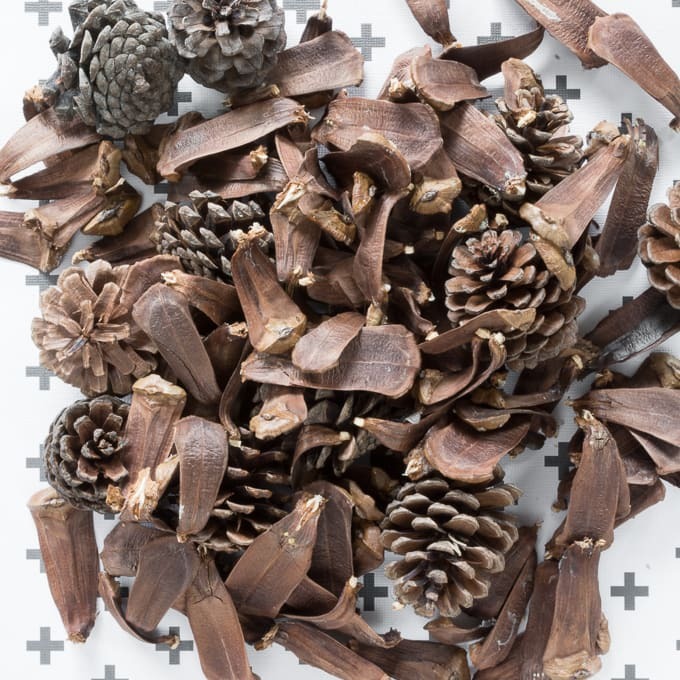 Step 5: Once everything was dry, I grabbed some smaller pine cones that were already ready to go and laid them out as well. Then I filled a spray bottle with a clove and cinnamon solution I’d made by simmering whole cloves and cinnamon sticks on the stove in some water. I also added a few drops of rosemary essential oil I had. 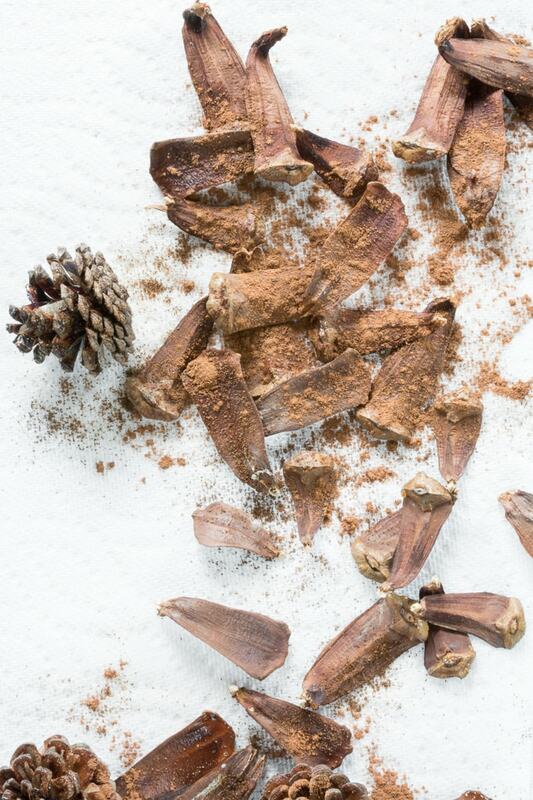 I misted the pieces so they’d grab the scent…and also decided to sprinkle some cinnamon and clove powder on as well for good measure. Then I put them in gallon bags and let them sit overnight. 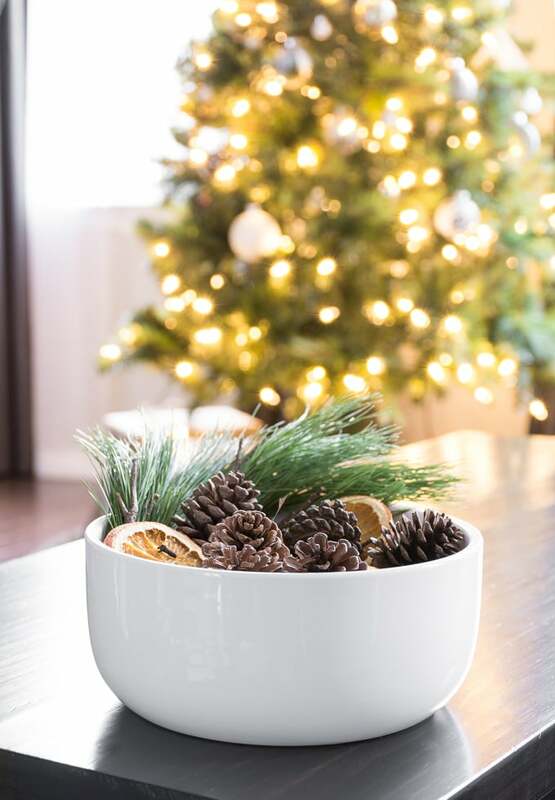 The next morning, I opened the bags and dumped the contents into a bowl, added some pine sprigs and some dehydrated orange slices I had from my DIY stovetop potpourri ornaments and called it a day. 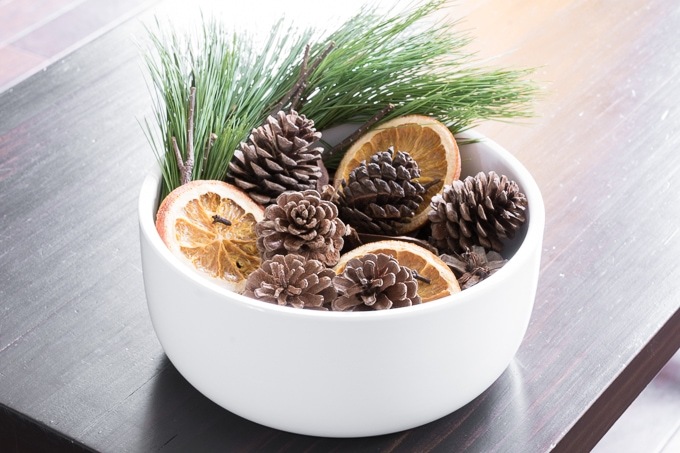 The DIY scented pine cone potpourri smell lovely, especially in the little powder room. 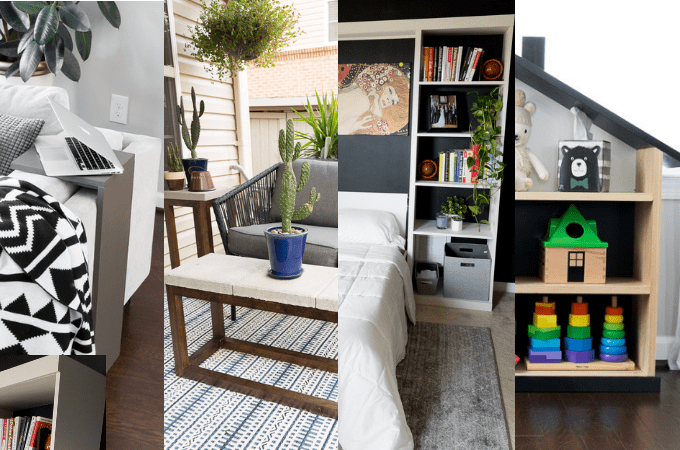 I think the small space amplifies the scent—plus it looks like lovely seasonal decor. If the smell starts dying out, I’ll just spray them again.